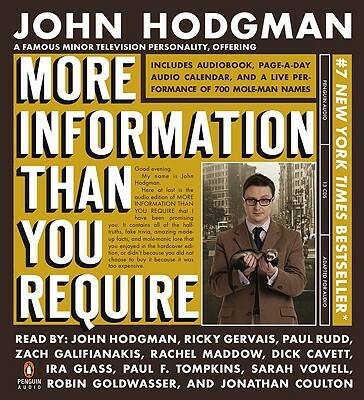 The "New York Times" bestseller by Famous Minor Television Personality John Hodgman? "The Daily Show? "s ?Resident Expert? and the ?PC? in the iconic Mac ads?picks up exactly where his first book left off. John Hodgman lives in New York City, where he curates and hosts The Little Gray Book Lectures, a monthly colloquium of readings, songs, and dubious scholarship. He is a contributing writer at "The New York Times Magazine" and a frequent voice on public radio s "This American Life." Further fiction, nonfiction, and genres in between have appeared in "The Paris Review," "McSweeney s," "One-Story," and "The Believer." He has performed at the U.S. Comedy Arts Festival in Aspen, as well as on the great stages of Chicago, Philadelphia, and London s Barbican."